To work with an organization which provides a platform to translate imagination into reality and provides challenging & motivating assignments that bring a sense of professional fulfillment with personal growth & development. Internship activities include providing drug information, ADR Monitoring, patient counseling, ward round participation, treatment chart review, therapeutic interventions, medication error analysis, prescription analysis. – Able to work independently and as a part of team, with a high degree of integration. – Positive thinking and hard working. – Expertise in “Time Management “and efforts to ensure optimum effectiveness. – Individual with empathy and patience. 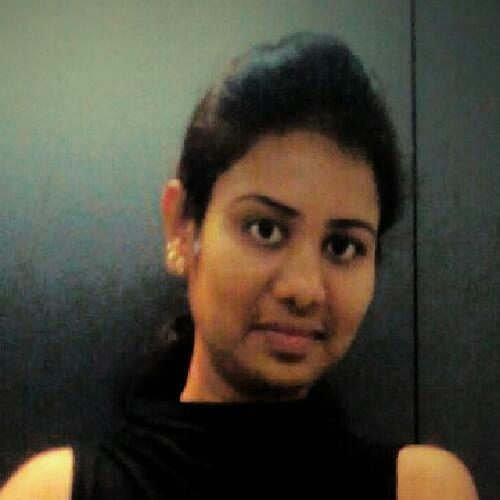 Presently I'm intern of Doctor of Pharmacy at Rajiv gandhi Institute of Medical Sciences. •	Internship activities include providing drug information, ADR Monitoring, patient counseling, ward round participation, treatment chart review, therapeutic interventions, medication error analysis, prescription analysis. I would describe myself as a very ambitious,workaholic, hard-working and a sincere girl. I'm enthusiastic about taking up new challenges in life. Friendly and joyful is what my friend describe me as. I have a keen interest in getting into research activities. I myself involve into into short clinical /para-clinical activities. My outside interests are drawing , dancing, playing Basket ball and reading books. My friend, suggested this james Lind Institute online courses. I found what I want to be. It's been more informative and helpful for students. I'm interested in doing job at Research and Development department. To work with an organization which gives the right platform to translate imagination into reality and an environment that provides Challenging, Interesting and Motivating Assignments which brings a sense of professional fulfilment as well as personal growth and development. •	Adaptability •	Able to work independently and as a part of team, with a high degree of integration. •	Positive thinking and hard working. •	Resourceful and a good solution provider with an excellent communication and presentation skills. •	Expertise in “Time Management “and efforts to ensure optimum effectiveness. •	Individual with empathy and patience. It is comprehensive, very good.